The core activity of any good club is the chance to meet, enjoy riding our bikes together and catch up with the gossip! 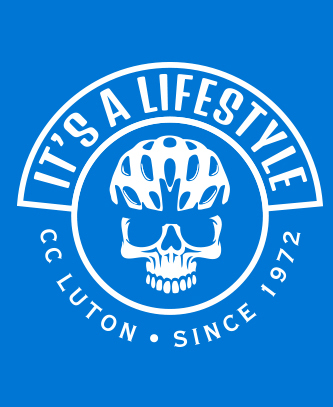 Club runs start at 9:30am from the roundabout at the top of Barton cutting (on the A6 just north of Luton) every Saturday. The rides normally cover approximately 60 miles mainly over country lanes at an average speed of around 17mph with a cafe stop halfway. We also meet at the same location and time on Sunday mornings, although these rides are treated as training rides (especially in the Winter) and can therefore be a little faster. 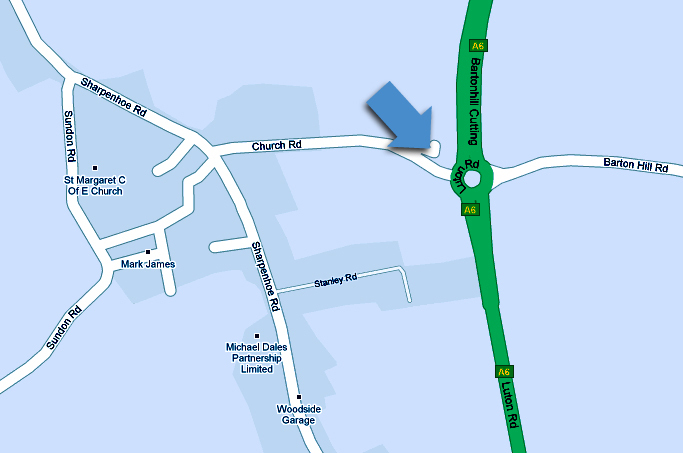 Click here for a link to a Streetmap map of where we meet. How fit do I have to be to ride with you? Our club runs are not “full-effort” training rides. We try to keep a steady pace and ride as a group at all times, dropping to the pace of the slowest rider if necessary on climbs. So you don’t have to be super fit to ride on our club runs. As a guideline, if you can manage a 40 mile solo ride at a reasonable pace (average 16mph), you should have no problem riding with us. We tend to ride in a fairly close group, riding two abreast unless road or traffic conditions require us to ride single file. Don’t worry if you feel a little nervous at first when riding in a group, you will soon get the hang of it. There are a number of unwritten “rules of the road” that we expect new riders to pick up as they go along such as calling out potholes in the road, not overlapping your front wheel with the rear wheel of the person in front etc. You will soon pick these up as you gain more experience of riding with us. That depends on who turns up for the club run and which way the wind is blowing (we try to ride so we have a tailwind home). The destination for the cafe stop is decided before we set off. If you are not sure how far the ride is likely to be, just ask someone. Be aware that we don’t always stop at a cafe, and that even if we do, some riders will not want to or have time to stop. Do I need a fancy racing bike? You don’t need the latest carbon-fibre bike, but we do ask that your bike is in a serviceable and road-worthy condition. There is nothing worse on a cold day than hanging around for someone to perform roadside maintenance that they should have done at home. Carry a pump, a couple of spare inner tubes and tyre levers at all times. Don’t rely on someone else having the necessary spares to get you moving again. Also, as a courtesy to the other riders, we ask that mudguards (with a decent rear mudflap) are used in the winter months (late October to early March). If you don’t have a bike with mudguards, don’t worry, although you may be kindly directed to the rear of the group so that you are not showering everyone else with muck off the road! Do you ride in all weathers? If it is raining hard when everyone would normally set out to ride to the meeting point, it’s unlikely many (if any) will turn up. Generally, we do ride in most other weather conditions – if it’s raining lightly, not blowing a gale and not snowing. If it’s foggy, make sure you fit a rear light to your bike. It’s very unlikely you will need lights at other times, although some of our social rides (Hostel trip and if riding home from the Christmas Dinner club run) will require decent lights. It is a good idea to carry a drink with you for the ride (even on cold days) and although we normally stop at a cafe after about 30 miles anyway, you may want to bring some food with you just in case. It’s also a good idea to carry a mobile phone, a waterproof top if rain is forecast, some money (for the cafe and in case of emergency) and some identification with emergency contact details. What if I want to do a really hard training ride? It’s probably best if you arrange hard training rides separately with other club members. There are plenty of people in the club who are happy to meet for harder rides, but the club run should be kept at a steady moderate pace. Riders on the club runs raising the tempo significantly when they get to the front, or charging off on solo attacks will be politely asked to desist! When riding with the club or in club kit, please remember that you represent not only the club, but it’s sponsors also. Treat other road users with consideration and respect. Occasionally, we are subject to abuse and aggression from motorists – hard as it may seem at the time, it’s best to ignore them as far as possible and avoid confrontation. Cyclists rarely come off best in arguments with cars!